Namchi is the capital of the South Sikkim district in the Indian state of Sikkim. Namchi is located at an average elevation of 1315 metres, it commands panoramic view of the snow-capped mountains and vast stretches of valley. 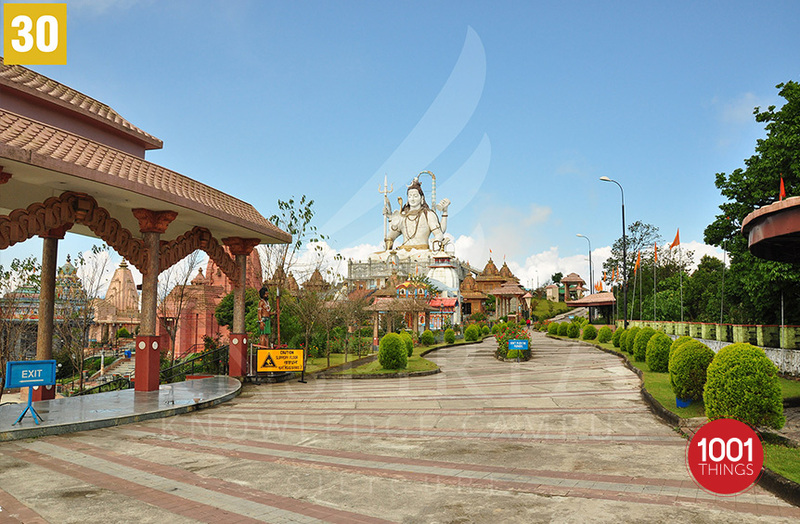 It is situated at a distance of 92 km from the state capital Gangtok and 90 km from the town of Siliguri, the nearest railhead and airport. It lies off the road between Melli and Jorethang. 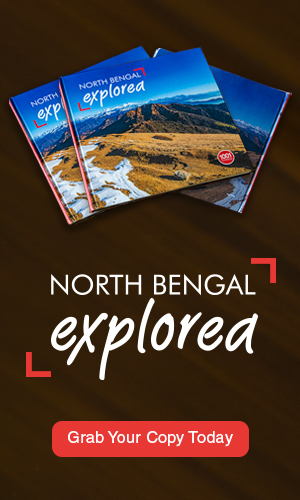 It is well connected to other towns in Sikkim and West Bengal. Char Dham or Siddheshwar Dham is a famous tourist attraction in Sikkim. 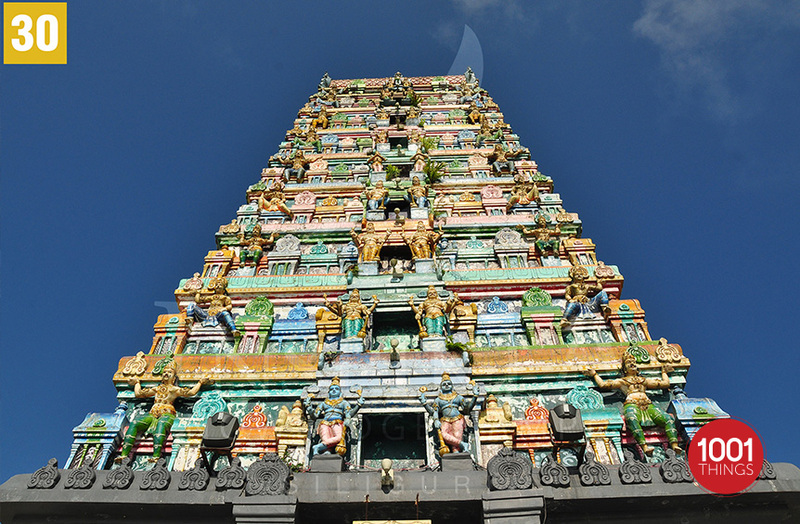 It is a replica of all the 12 Jyotirlingas and Char Dhams in India. One will find a 33 m massive Shiva statue raised on the Solophok hilltop which is at a distance of about 5 km from Namchi Town. It’s a huge pilgrimage complex with Hindu temples all around. Solophok Hill has a historical and religious significance, as it is believed that visiting this place washes away one’s sins. The four most revered Dhams of the Hindus Jagannath, Dwarika, Rameshawaram, Badrinath has been replicated in this fantastic complex to benefit the devotees who visit this place. Siddhesvara Dham was consecrated by Shri Jagadguru Sankaracharya Swami Swarupananda Saraswati on November 8, 2011. An 18-feet statue of Kirateshwar a hunter incarnation of Shiva is also present. In Hindu mythology, it is believed that Lord Shiva, after losing Sati in Agnikund, had gone into seclusion and became a hunter in the forests of Sikkim. 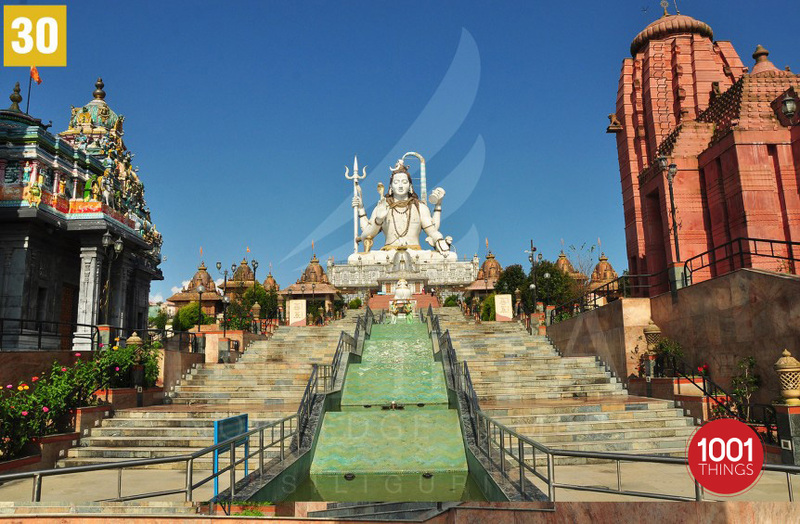 Char Dham is now not just a tourist destination but a holy place ready for offering puja. It is also an accumulation of all the four important religious dhams as per Hindu mythology. As all these dhams are situated in different directions and places scattered all over the country. Jagannath dham is in Orissa, Dwarika is in Gujarat, Rameshawaram dham is located in Tamil Nadu, and Badrinath dham is located in Uttarakhand. Therefore, now it is easy for anyone to visit all the four dhams at a time and also in one single location.